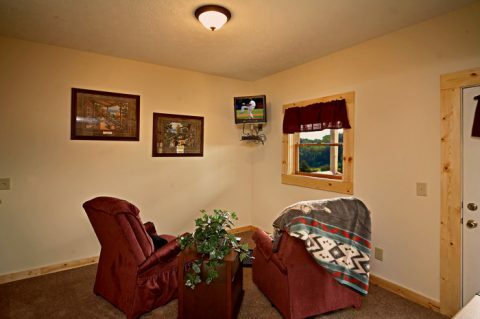 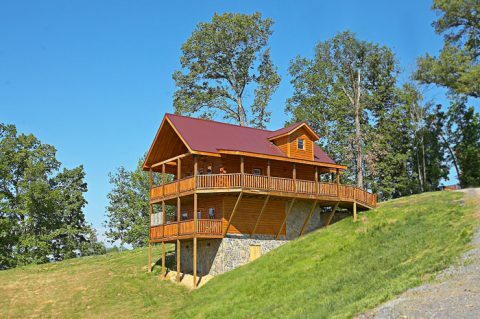 "Rocky Retreat" offers vacationers a beautiful vacation rental with 2 bedrooms and panoramic views of the surrounding mountains from your cabin’s two decks. 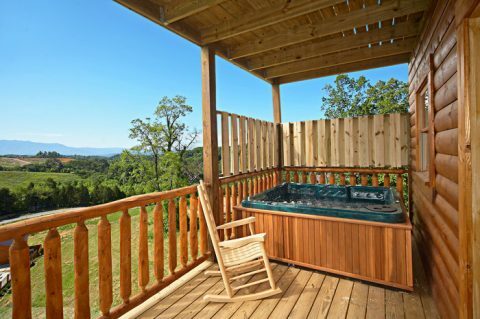 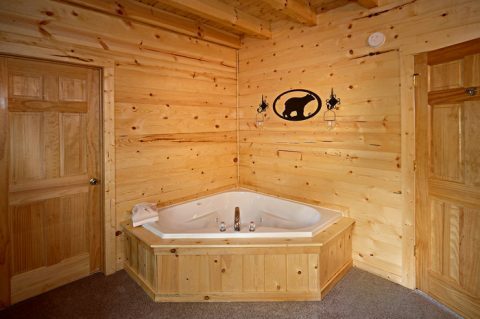 Even more relaxation can be found on your cabin’s lower deck with the family size hot tub that invites guests to relax after a fun-filled day in the Smokies. 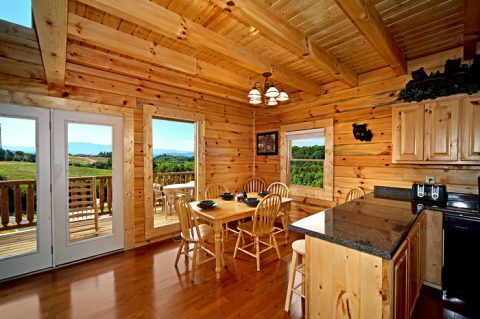 If you want to enjoy a meal in the mountains, you can host a cook out on the charcoal grill. 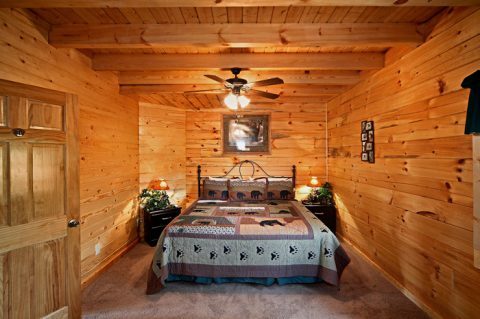 Back inside, you’ll find a comfortable cabin retreat. 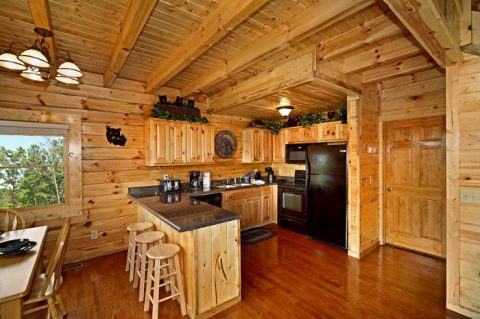 A large kitchen with breakfast bar offers the perfect place to cook delicious meals for friends and family. 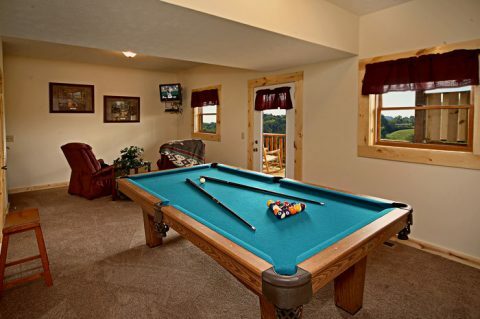 After dinner, everyone can enjoy some friendly competition at the pool table or enjoy a movie around the fireplace in the living room in the cooler months. 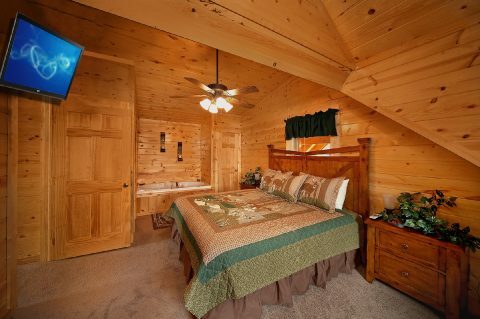 At the end of the day, enjoy some rest and relaxation in one of your two bedrooms. 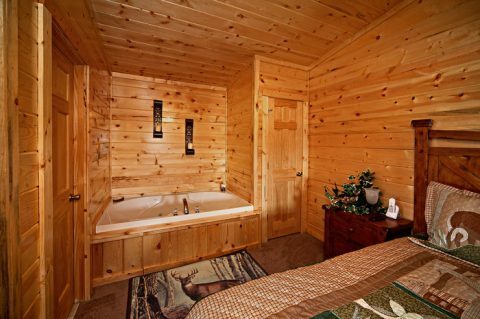 Unwind in the one of two master suites with king size beds, in-room jacuzzi tubs, and televisions. 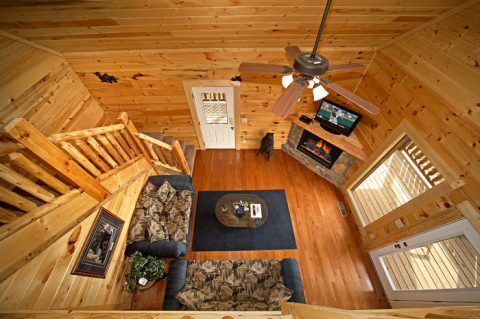 This cabin offers the best of both worlds by keeping you close to top attractions and offering a comfortable cabin home away from home. 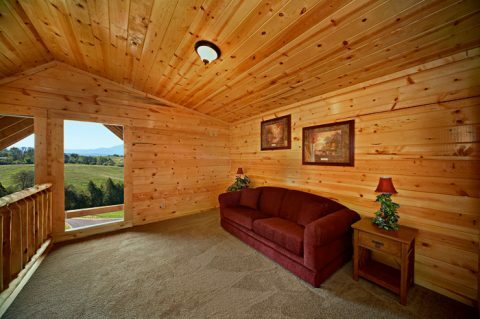 When you book “Rocky Retreat,” you’ll be that much closer to your perfect vacation in the Smokies! 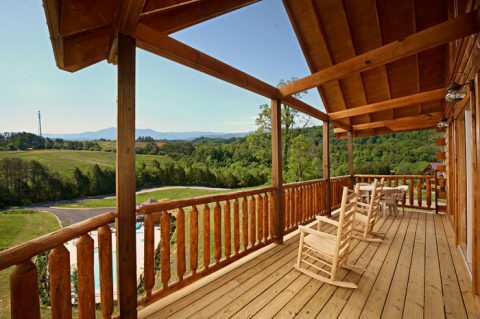 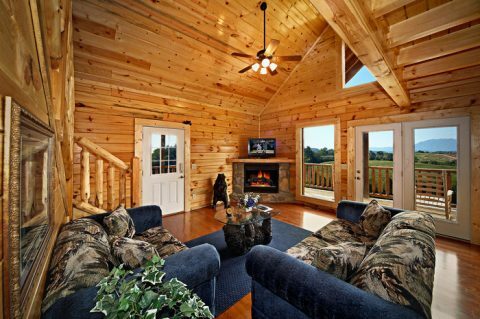 Book “Rocky Retreat” in Rainbow Ridge Resort with Cabins USA and get an immediate 15% Vacation Rental Discount!